No longer need to travel for a full mouth x-ray “OPG” as our new imaging hardware has been installed at our practice and comprehensive digital imaging can be obtained within minutes to provide your dental professionals and you with the most comprehensive image of your mouth to enable us to treatment plan the best options for your long term dental care. Need minor soft tissue treatment? Our practitioners have invested lot of training and have skills in enhancing the outcome of your treatment from deep periodontal tissues, tongue tie release, implant treatment, ulcerations and viral outbreaks, post oral surgery healing by the use of a diode laser. Would you like to see what your teeth could look like before committing to extensive treatment? We can provide full digital design for you to view before commencing invasive treatment. Speak to our dentist at your next appointment to request service. 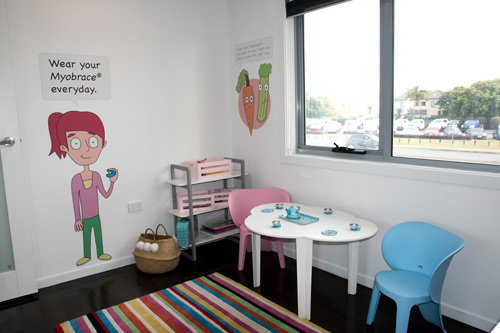 Non clinical area specially designed for children for the thumb sucking Cessation Program or the Pre Orthodontic Myofunctional treatment to make them feel comfortable and relaxed. 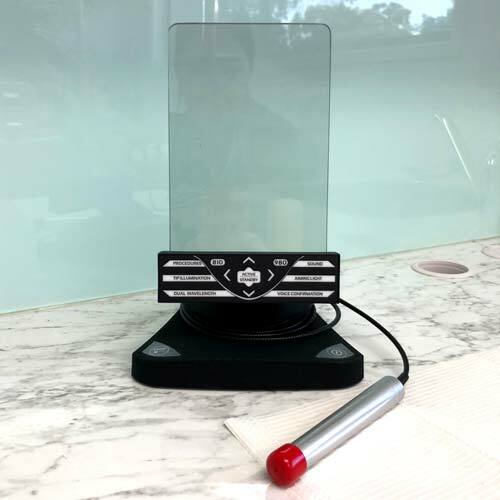 For fast and effective pictures of your teeth and mouth we use the latest technology available to record and capture the state of your dentition. A small wireless intra oral camera will help us demonstrate and show you in an instant, things you may not see yourself easily in your mouth. This image is then saved in your confidential patient chart for future reference and record keeping. 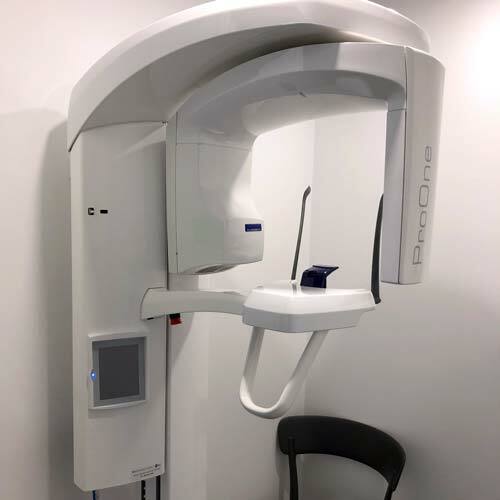 At Gold Coast Dental and Denture Centre we have invested in the latest imaging technology available to minimise radiation exposure to our patients and staff. With the help of digital x-rays we can take fast and accurate images of your teeth to assess any defects, infections and cavities. Our qualified technicians and dental prosthetist have their own dental laboratory where, with the help of the latest equipment and technology, we fabricate all our appliances. Our prosthetist will take the impressions in the surgery and will start fabricating your dentures onsite. This way no downtime is needed to send any of the work away. The prosthetist himself will have coordinated all necessary appointments needed for your custom-made dentures. You can also fast-track any appliance in case of urgency, if it has been lost, broken or you have an important function to attend. The entire dental team works together in coordinating each patient’s appliances and dentures, and can minimise the need to travel to the practice multiple times. For those patients who require hospitalisation for complex dental treatment, extractions or implant placement we have the rights to treat these patients at Allamanda Private Hospital in Southport. Appointments and treatment will be coordinated with the anaesthetist, dentist and hospital for your convenience. We offer light relaxing sedation at an additional charge for those patients who are very anxious about their pending dental treatment. We use an inhaler that the patient will administer with the help of the dentist just before their treatment. This is a simple and safe relaxant that will help you get through your dental treatment in more comfort.